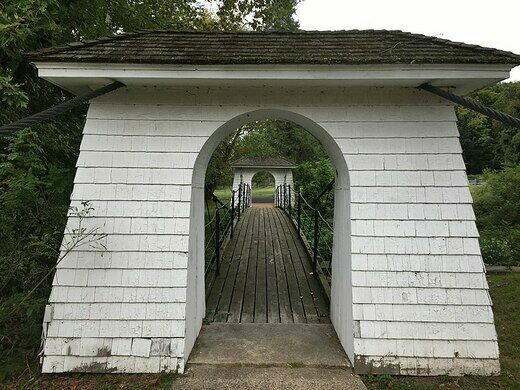 A few yards away from the banks of the Delaware River in Trenton’s Stacy Park is a bridge so short it hardly serves a purpose. But don’t judge the bridge’s merit by its size. It’s the work of John A. Roebling, the civil engineer who built the iconic Brooklyn Bridge. This little New Jersey bridge was built by Roebling as part of a demonstration project in the 19th century and later gifted to Trenton. It’s said that the structure is modeled on his Niagara Falls Bridge, which was the first suspension bridge in the world to convey freight trains. But clearly, this miniature version of the bridge won’t have any trains passing over it. Not only is it too small, it also isn’t the most stable structure. 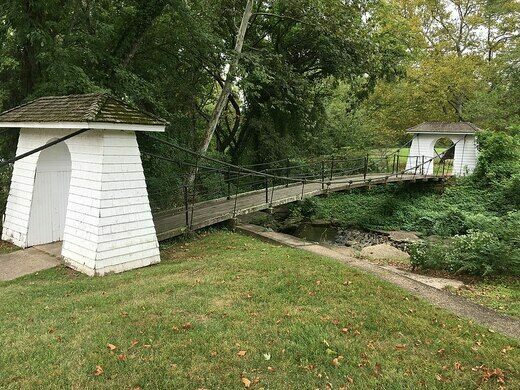 In fact, locals endeared the structure some years ago with the name “Shaky Bridge,” based on the fact that the wooden planks shake back and forth as you traverse the roughly 20-foot span, crossing over a concrete stormwater culvert from one patch of grass to the other. 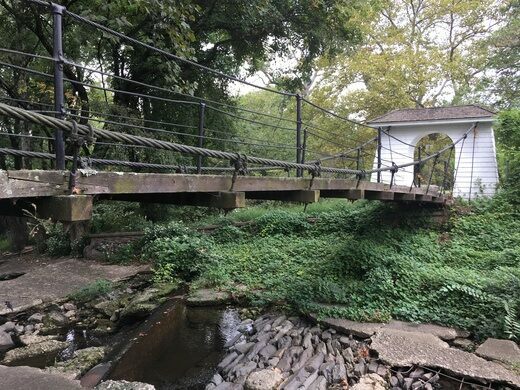 The Shaky Bridge is at the east end of Trenton's Stacy Park. Easiest access is through the adjacent Trenton Water Works filtration plan on NJ 29.